Aclima LightWool T-Shirt is the newest product from Aclima, made from the best Merino wool. 140g soft merino wool. 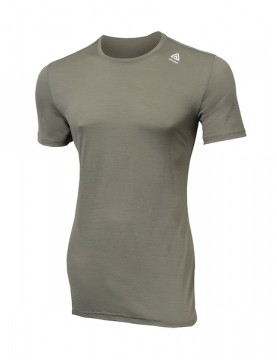 Aclima LightWool T-Shirt is the newest product from Aclima, made from the best Merino wool. For the wool experts, we can tell you that these clothes are made from yarn of 17.5 micron, and it only weighs 140g/m2. This means that LightWool is probably the softest woollen garments you have ever tried. Most people know that wool is the perfect thing to use when it is cold, even when your clothes are wet. But did you know that wool is also cooling on warm days? Wool insulates well against heat from the outside, which gives it a cooling effect in the heat. These products are ideal for activities like running, cycling or golf during the summer months, and as soft, warm, every day clothes.